Bitcoin traders can breathe a sigh of relief. If JPMorgan Chase & Co’s CEO Jamie Dimon fires them for trading the cybercurrency, Goldman Sachs Group could welcome them with open arms. Goldman is reportedly considering a new operation dedicated to buying and selling digital currencies. Goldman would be the first large Wall Street firm to explicitly have a bitcoin trading desk, and the news seemed to legitimise the currency less than a month after Dimon called it a “fraud” and said that he would fire anyone stupid enough to trade it. Indeed, prices of bitcoin, which many people already thought were in a bubble, rose US$193 on Monday to $4 365 each. That’s up from $952 at the beginning of the year, for a staggering 360% return in 2017 alone. The S&P 500 is considered to be having a great year. It’s up 15%, including dividends. But traders may be reading too much into Goldman’s cybercurrency move. Remember mortgage-backed credit-default swaps? Goldman had a dedicated unit to trading those as well. What’s more, the move into bitcoin could have more to do with the state of Goldman than the soundness of bitcoin. The Wall Street powerhouse has struggled lately. Revenue at Goldman’s bond-trading division, often its biggest moneymaker, fell 40% in the second quarter. That was the worst quarter ever for that division, which has been in an extended slump. And the bank has been looking for other areas in which to make money. One of those is lending. But while lending may boost Goldman’s revenue, it won’t improve its profits or return on equity much, not with interest rates near all-time lows and the yield curve flattening. 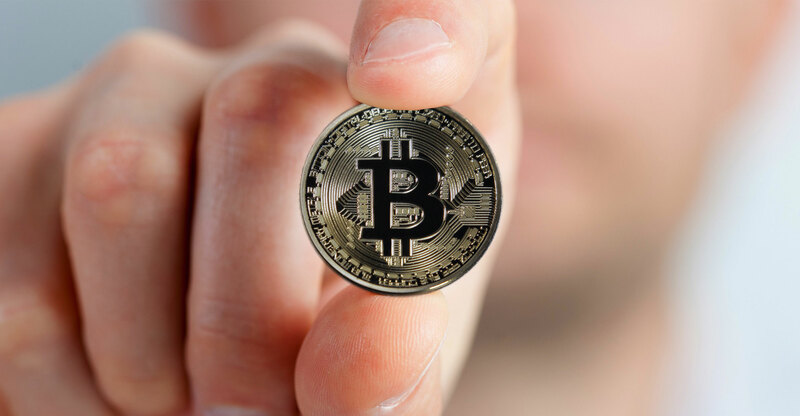 Trading bitcoins, however, could produce high returns. Wall Street trading operations thrive on volatility. And with the VIX, which measures equity market volatility, in the single digits, bitcoin is one of the few areas where prices are still jumping around. So bitcoin it is, at least for Goldman, even if the digital currency is by any reasonable measure in a bubble, and closer to popping than ever. Bigger picture, the bitcoin divide between JPMorgan and Goldman may have more to do with their histories than a reliable prediction of where the price, or even the use, of bitcoins are headed. 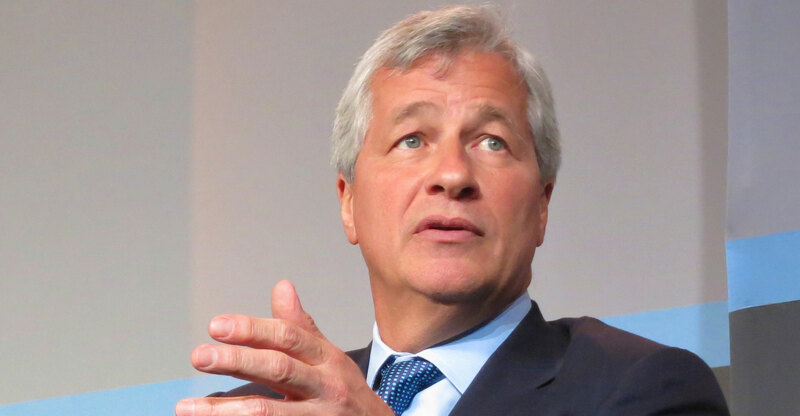 JPMorgan, which two decades ago was just called Chase Manhattan, is a giant money centre bank that still makes more than half of its revenue from lending money, predominantly dollars. That lending is backed by nearly $1.5 trillion in deposits, again predominantly in dollars. Goldman, on the other hand, has historically and continues to be a firm driven largely by trading. Despite the recent troubles in that division, the firm still derives more than half of its revenue from trading and less than 10% from lending. Goldman has recently paid lip service to the idea that it would like to be more of a lender, and its recent $5bn revenue growth plan envisions getting 40% of it from lending each year. It has launched a consumer lending operation, with millennial-appealing hipness, simply named Marcus. But even if Goldman were to generate $2bn more from lending, that business would still constitute less than 20% of its overall revenue.